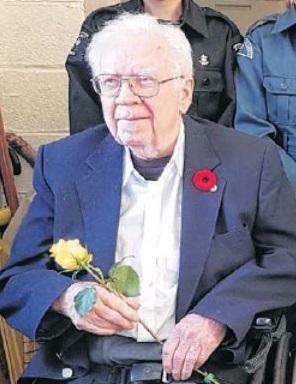 William ‘Bill’ Walsh, age 92 of East Bay, formerly of St. John’s NL and St. Stephen, NB, passed away on Sunday, December 30, 2018 at the Northside General Hospital, North Sydney. He is survived by his sons, Stephen, Joseph (Connie) and Edward; grandchildren, Adrienne, Eleanor, Bryce and Gavin and one great-grandchild, Raven. He was predeceased by his wife, Mary and son, John. Cremation has taken place. A small gathering will be held at T.W. Curry Parkview Chapel on Thursday, January 3, 2019 from 2-4 p.m. Interment to follow in Newfoundland at a later date.